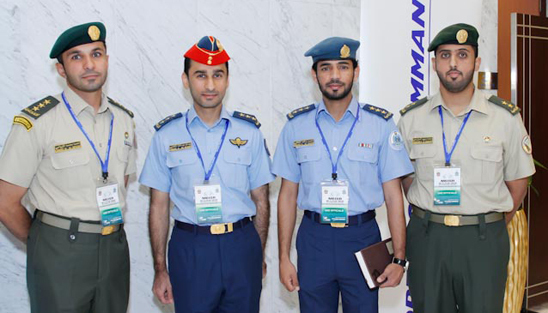 As regional security threats evolve and increase in sophistication GCC militaries are facing new pressures in the realm of ISR capabilities. ISR capabilities must be able to cater to the information needs of militaries from a continuum ranging from higher level strategic intelligence to tactical level intelligence of the battlefield to sustain operations. 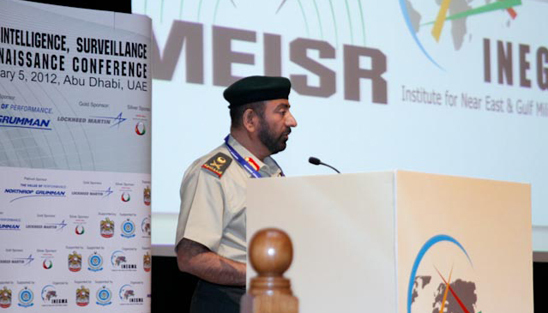 In this strategic backdrop, the Second Edition of MEISR – the Middle East Intelligence, Surveillance and Reconnaissance Conference took place on February 5, 2012 in Abu Dhabi and had the official support of the UAE Ministry of Defense and The UAE Air Force & Air Defense. 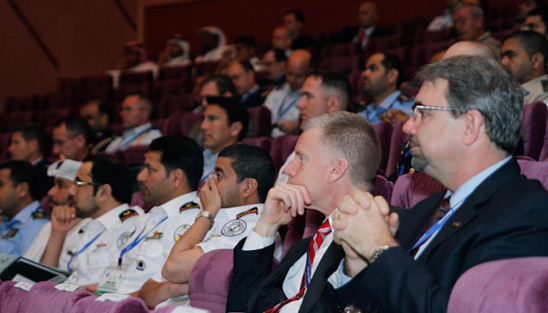 MEISR 2012 tackled core issues associated with ISR head-on by drawing on the latest insights from international and regional authorities. 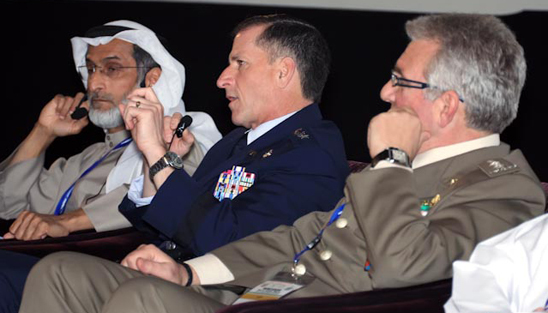 MEISR created an unprecedented forum, enabling knowledge transfer and, accommodated a regional networking event for military professionals in ISR-related fields. 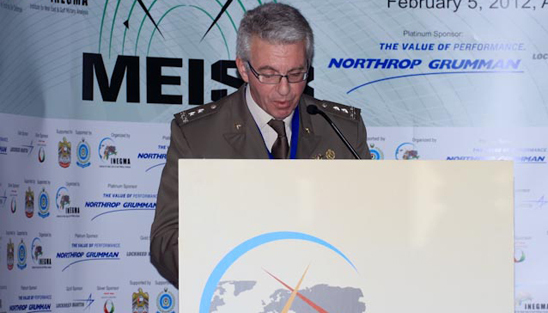 MEISR was a one day event featuring 10 high-level briefings, several networking sessions supported by a focused exposition from key private sector partners, and two workshops helping to facilitate further in-depth discussion on key ISR subject areas. 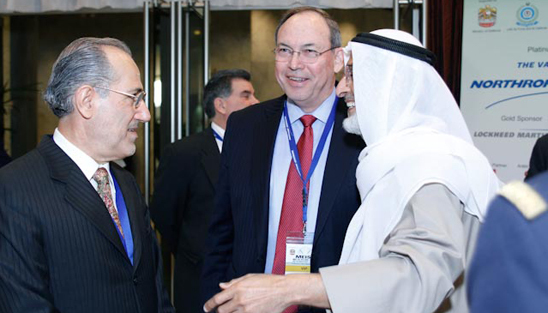 By engaging peers and colleagues from international allies and from leading private sector partners, MEISR again perfectly created a perfectly focused environment for its participating delegates from the UAE and partner GCC states, U.S., European and Asian allies, and from leading private sector partners. capabilities merging with targeting systems." 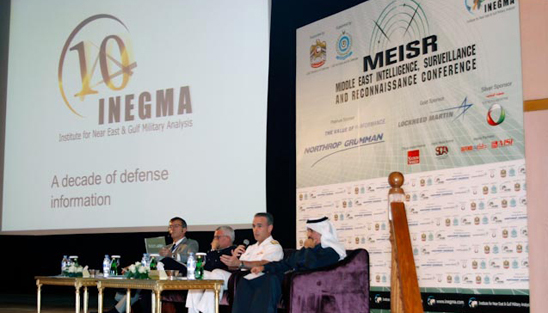 Under the patronage of the UAE Ministry of Defense and with the full support of the UAE Armed Forces, the Institute for Near East and Gulf Military Analysis (INEGMA) held the second edition of the Middle East Intelligence, Surveillance and Reconnaissance Conference - MEISR on February 5, 2012 at the Armed Forces Officers Club in Abu Dhabi, UAE. 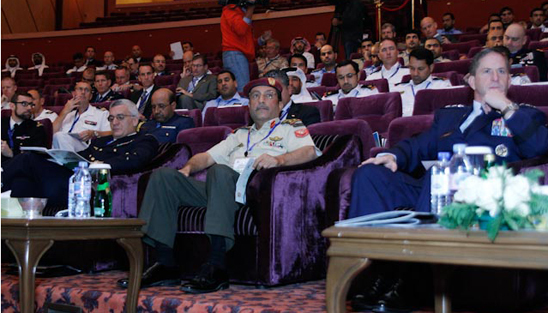 MEISR 2012 was attended by a crowd of senior military and political leaders and diplomats of the countries of the region and the world, as well as senior officials and military attaches, experts and managers of defense companies in the region. 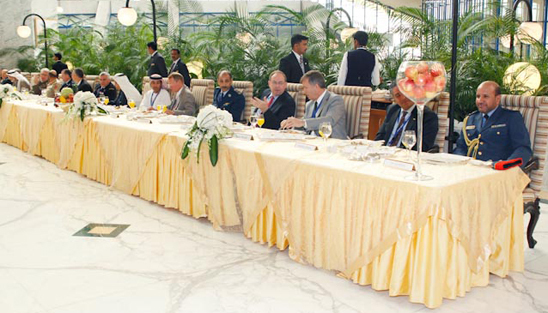 Representatives were present from the UAE MOD, AFCENT (US), NAVCENT (US), Italian and French Military Intelligence as well a whole host of former military and civilian leaders within their field. 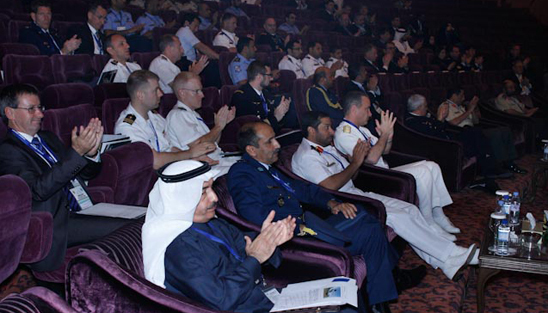 Through the carefully selected topics, senior military leaders and policy advisors were able to draw on their wide ranging experience and expertise at MEISR 2012 to inform participants about emerging views on modern ISR needs and capability. The 2012 MEISR agenda addressed the following topics; The Transformation to NCO and Implications for Future ISR Systems Procurement, Improving Extraction of Signals from ISR Sources, The Power of Information in Modern Warfare, Tactical Intelligence Gathering with UAVs in Combat Environments – Lessons Learned from Afghanistan, Capabilities for Emerging Electronic Warfare Threats to In-Theatre ISR Assets, AEWC integration into Regional ISR, Updating ISR Capabilities to Meet the Requirements of Warfighting in the 21st Century, Emerging ISR Requirements for Iraq, and Harnessing Near Space Vehicles for ‘Persistent Stare’ Capability. 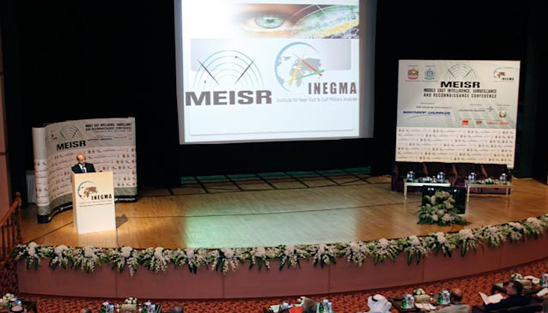 Riad Kahwaji, INEGMA CEO, opened the conference by welcoming the audience to the second ISR annual conference. He thanked the UAE Ministry of Defense, represented by a distinguished delegation led by His Excellency Major General Mohammed Al-Essa, for being the Patron for MEISR 2012, as he also thanked the UAE Armed Forces Chief of Staff and the Air Force and Air Defense for their support, as he also welcomed the Armed Forces' participants from all services and directorates in this event. 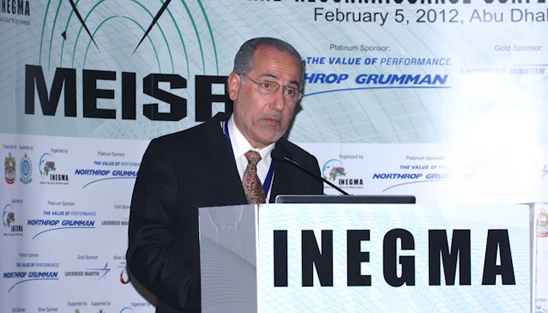 Kahwaji stated: "Recent technological advances have helped ISR evolve and enabled the armed forces to overcome many challenges. However, technology has been at the service of both the good and the bad, and hence challenges and threats have also continued and often in a different form or shape. Nonetheless, risks remain big and efforts continue to either contain or overcome them." 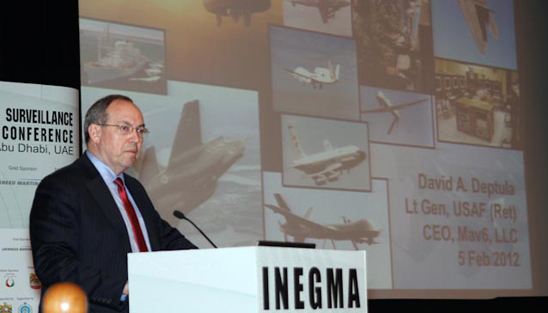 He added: "In line with its mission statement, INEGMA has chosen ISR as a main topic for its chain of defense conferences out of its appreciation to the importance of this subject to regional militaries of the Middle East, especially the Gulf Cooperation Council." Major General Mohammed Al-Essa of the UAE Ministry of Defense, gave the keynote speech stating: "We meet here today under one roof to discuss one of the most important and delicate military topics with minimum efforts and minimum losses possible on both civil and military sides. We are also here to listen to specialists and to learn more about their latest expertise and solutions in this field. We will also study the recommendations that came as a result in this conference where we all share a common vision in combating global terror and spreading international peace and stability." He added: "We, in the United Arab Emirates work under the leadership of His Highness Sheikh Khalifa Bin Zayed Al-Nahyan, President of the United Arab Emirates, Supreme Commander of the UAE Armed Forces, and His Highness Sheikh Mohammed bin Rashid Al-Maktoum, Vice President and Prime Minister of the UAE, and Ruler of Dubai and His Highness General Sheikh Mohammed Bin Zayed Al Nahyan, Deputy Supreme Commander of the UAE Armed Forces, on seeking to develop our defense capabilities and we do not only seek advanced techniques that will help us achieve our goal but we also look forward to gaining experience and through communications, with our brothers and friendly countries, exchange experiences with them through these kinds of conferences and through joint exercises and meetings." 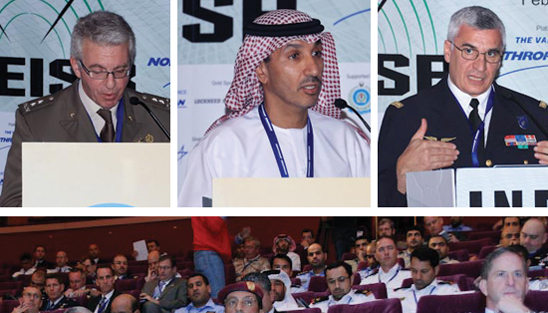 The first session chaired by Major General (Ret) Khaled Abdullah Al Bu Ainnain, Former Commander, UAE Air Force and Air Defense and President of INEGMA, featured three speakers. 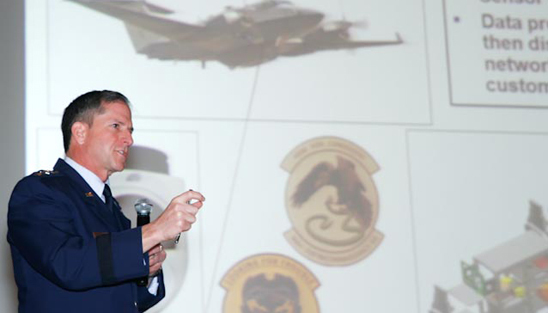 Lieutenant General David Goldfein, Commander, Air Force Central Command in the United States of America delivered a lecture on "The Transformation to NCO and Implications for Future ISR Systems Procurement." He explained the wide area airborne surveillance starting with MQ-1 that observes a single target and MQ-9 with wide area coverage and better area coverage and resolution. 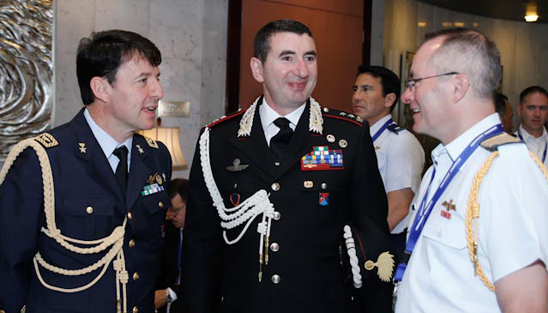 Major General Nicola Gelao, Head of Italian Military Intelligence, discussed "Improving Extraction of Signals from ISR Sources." He stated: "Everybody should be aware that technology easily allow on board sensors to be designed and tasked to perform other features and be integrated together, giving a comprehensive situational awareness. Therefore, changing our point of view, we can aggregate our sensor in a fashion that outlines their ISR capabilities rather than the primary functions." 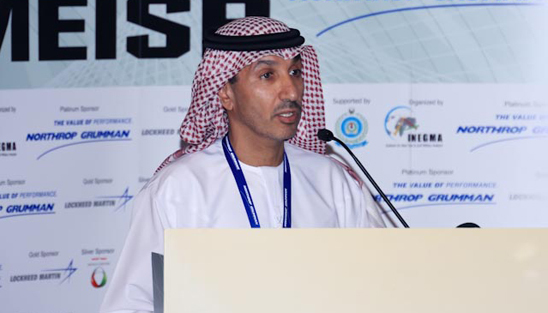 Dr. (Eng) Mohamed N. Alahbabi, Senior ICT Advisor, Center of Excellence, UAE Armed Forces, gave a presentation about "The Power of Information in Modern Warfare." Dr. Alahbabi stated that ICT is a major component of information systems which the UAE is making great advances on. The second session chaired by Mr. Bruno Monfils, President, Center of Excellence and Development, United Arab Emirates, featured three speakers. 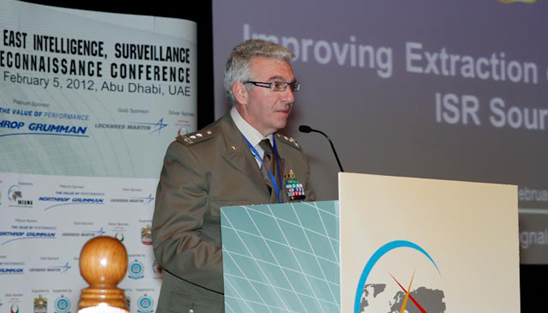 Air Vice Marshall Jean-Pierre Serra, Deputy Director, Direction du renseignement militaire (DRM), Ministry of Defence in France, raised the issue of "Tactical intelligence gathering with UAV's combat environments – lessons learned." 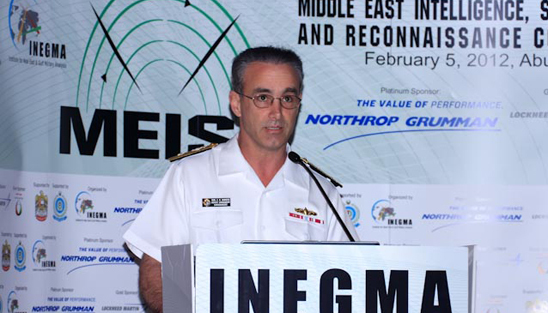 Rear Admiral Charles M. Gaouette, Deputy Commander, US Naval Forces Central Command, had a lecture on "The Capabilities for Emerging Electronic Warfare Threats to In-theatre ISR Assets." He argued that: "Military needs are diverse and require a mixture of satellite communications services to support wartime operations. This mixture includes the use of the military frequency bands as well as augmentation from commercial communications satellites." 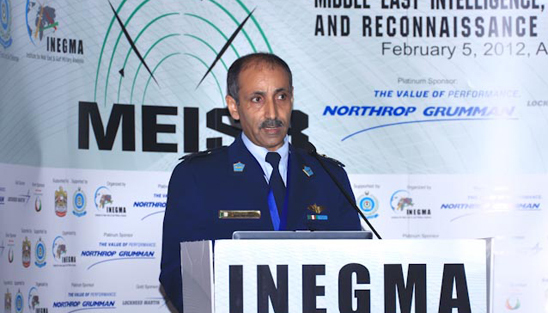 General (Ret) Ali Ibrahim Alseghayr, Former Commander 6th flying wing (AWACS and Tankers), Royal Saudi Air Force & Vice President of Electronic Systems Saudi Arabia, Northrop Grumman, discussed "The AEFWC Integration into Regional ISR." 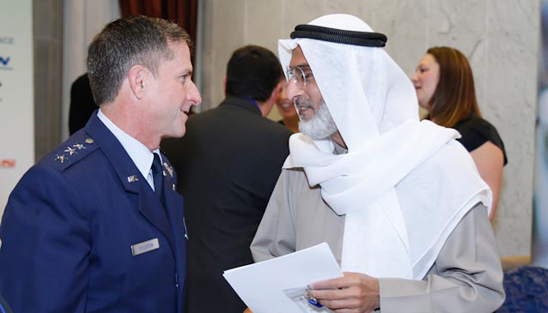 He conducted a review of Saudi Arabia's role in signals intelligence since Operation Desert Storm. 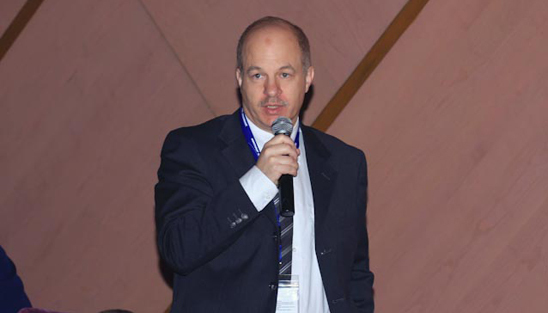 The third session chaired by Joseph J. Ensor of Northrop Grumman, featured three speakers. 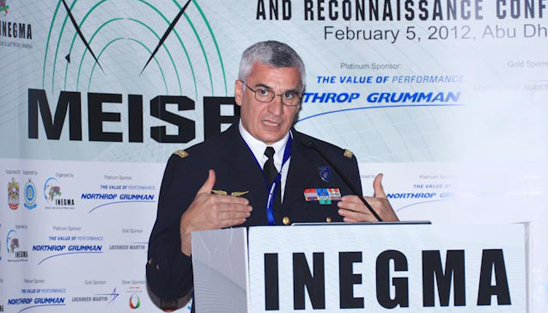 Colonel Ameur Boumediene of the People's National Army in Algeria talked about "Updating ISR Capabilities for the 21st Century Warfighter Requirements." In his presentation, he explained the cultural and technological challenges to include ISR mission between modern and post-modern warfare, changing cultural paradigms and cyber and physical security. Dr. Mowaffak Al Rubaie, Former National Security Advisor, Government of Iraq, discussed "The Emerging ISR Requirements for Iraq." He asserted that: "There is a significant terrorist threat that dominates the need for domestic intelligence as well as significant amount of criminal activity about which intelligence is also required. Iraq continues to suffer from its relatively porous borders that permit support of domestic terrorism from entities abroad." Lieutenant General (Ret) David Deptula, Former Air Forces Deputy Chief of staff for Intelligence, Surveillance and Reconnaissance in the United States of America, explained "The Harnessing Near Space Vehicles for "Persistent Stare" Capability." He argued that in thinking about the context of the symposium, and all that's going on in the world today-politically, economically, militarily, and in the information domain-the most appropriate topic today are new ISR Concepts for the 21st Century. In addition he looked at the next significant steps in achieving greater ISR capability using fewer resources. The conference ended with two specialized closed workshops following lunch. The first workshop explored: "The Closely Related Movement Across the Community with ISR Capabilities Merging with Targeting Systems," led by Paul B. Kalafos Jr of Northrop Grumman. The second workshop examined: "Effective Exploitation of ISR in Real Time for the Tactical/Urban Environment," led by Paul Casey of Lockheed Martin.